If you want the main feature of your wedding originality, you must translate it even from the invitation card, just to give you some ideas is that we present a series of models that surely will be useful, remember that you can change the colors according to the needs of your ceremony. Beautiful invitation card in the shape of a slot machine, remember that the rest of your party decorative details should also be related to this topic. 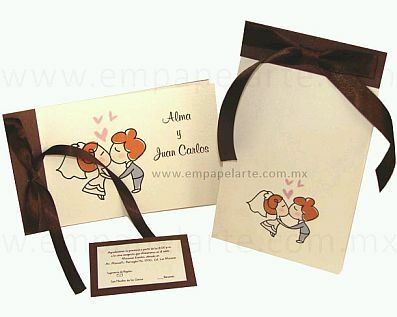 Romantic and sweet invitation card, the figure of the couple, and the sweetness of his kiss, make this a very special model. 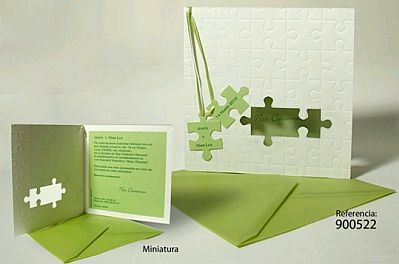 If you like the idea of ​​the puzzle, but want to incorporate it as detail of your invitation and not all this be one, here's an interesting model in which the names of the bride and groom are in two pieces that fit into the lid. 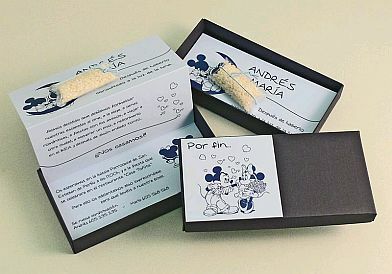 If your partner and you are fans of the pair of world's most famous mouse, Mickey and Minnie Mouse, this card template is perfect for you and your wedding invitation. 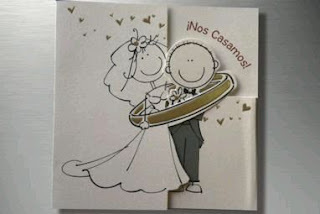 Funny card with a bride and groom on the front and a wedding ring, which serves to close and open the invitation, the bride gets to the rim, and the groom get rid of it. 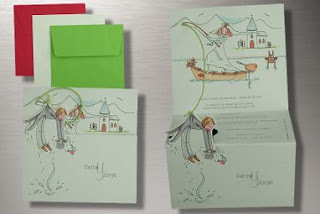 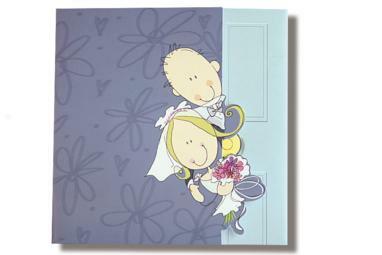 Cute and colorful wedding invitation model, it is a fishing boat bride, groom traps. Sweet couple invites you to see what's behind the door. 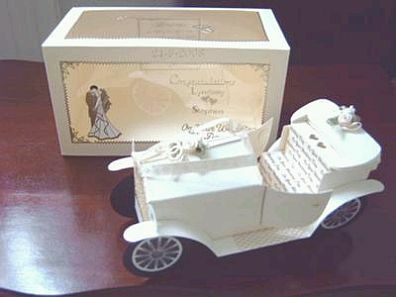 If you prefer a 3D model, this beautiful car can be perfect, the seat has the wedding information and the box that contains the name of the couple. 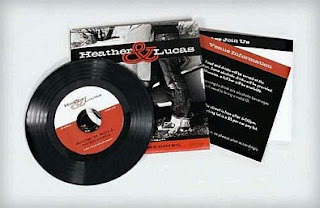 Finally, for lovers of music, what better way to produce your own "invitation - hard" if it contains a summary of the information on the disc, the front and back, are also used to provide more data. 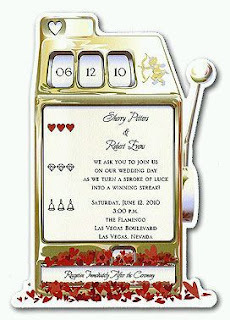 do you know where to order the car wedding invitations?